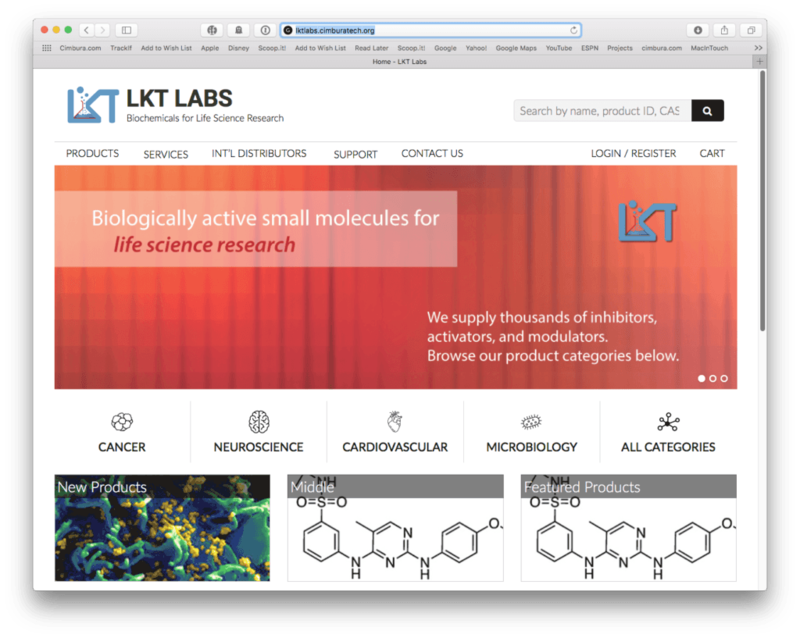 LKT Laboratories sells biochemicals for life science research in areas such as cancer prevention and neuroscience. 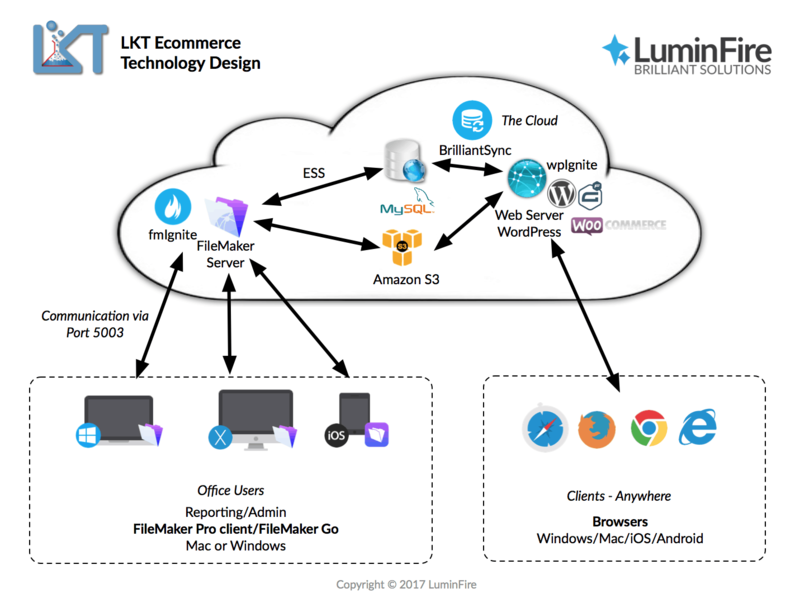 LKT contacted LuminFire so that they could take advantage of their existing technology investment in a FileMaker database used to track all products. 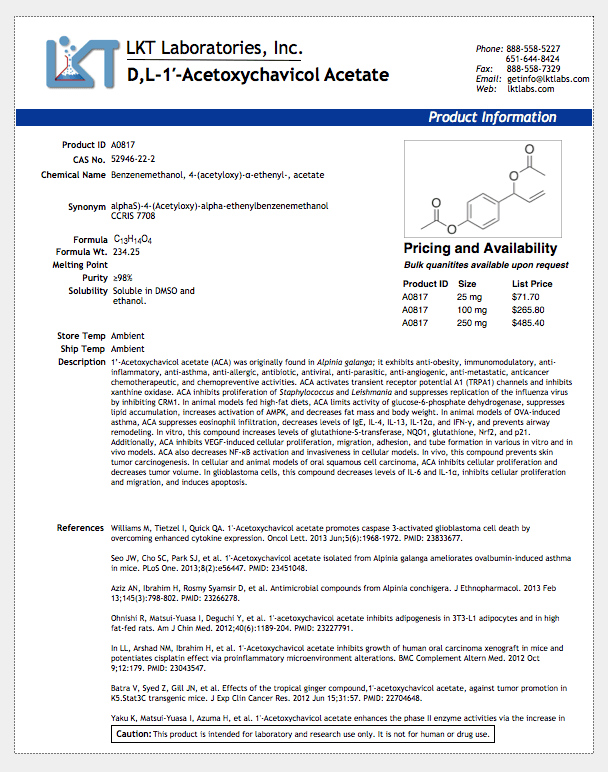 They needed a new eCommerce website and wanted it to automatically connect to the FileMaker app already used to track all their chemical information internally. LKT’s products are highly specialized. 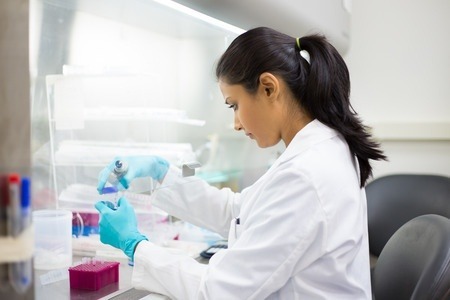 With nearly 3,000 different chemicals in their catalog, it is possible only a handful of labs across the country may be working with any one particular compound. Since their products are so varied and specialized, and because there are so many of them, it was important that the new site present a large amount of product data in a clear and logical format. LuminFire helped create a solution that does this in a way that far surpasses their old site. Product categories and a custom search method made it possible. 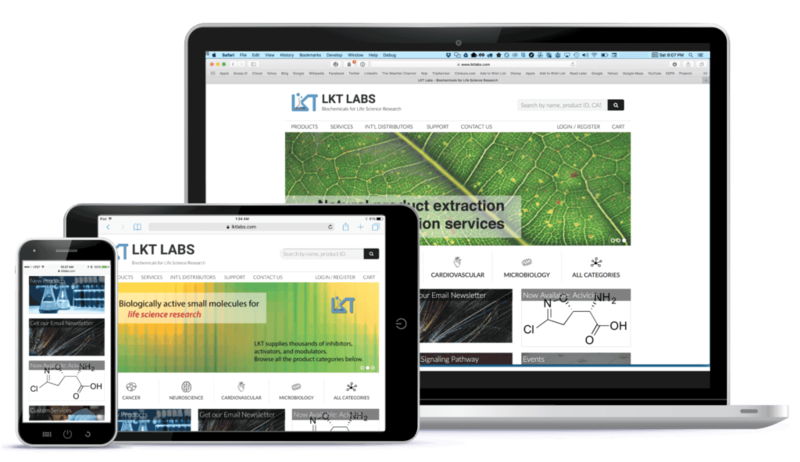 LKT’s old website served them for seven years, but was in need of a facelift and improved functionality. LuminFire built a custom WordPress theme on the Genesis framework, giving LKT a polished front end that is more aesthetically pleasing and useful to customers. We made the site fully responsive so that it works great on all screens sizes including large monitors, iPads, Android tablets, iPhones, and other smartphones. This means LKT can be sure that clients can easily order and search the site from ANY device so that they don’t lose sales from people trying to use the site with a smartphone or tablet. Consistency and standardization of code so that we can more easily maintain the site and make enhancements as the business requires. Powerful code included that was developed by very experienced developers. Security – Incorporates the latest technologies to protect the site from bots, hackers, etc. SEO – Optimized for search engines so people can more easily find your site and rank high in Google. Future WordPress upgrades will add features with minimal disruption to existing site. The eCommerce shopping cart for the site is based on the open-source WooCommerce WordPress plugin. WooCommerce is the most customizable eCommerce platform. We chose it for this project due to its worldwide community support and extensive feature set. We were able to utilize the work already completed and focus our customizations on exactly those things that make the site unique for LKT. One of their primary goals was to integrate data from their existing FileMaker database with LKT’s online ecommerce web presence. Using FileMaker in the office and WordPress for the front-end public takes advantage of the strengths of both platforms. FileMaker is used internally for its rapid application development and ability to quickly produce new reports. WordPress makes the ideal platform to take that information to the anonymous web user and scale it for thousands of hits. LuminFire’s expertise in both areas made this a reality. Utilizing our BrilliantSync technology made it possible for WooCommerce to talk to FileMaker and provide backend integration with their database. It is one of our most complex integrations to date. 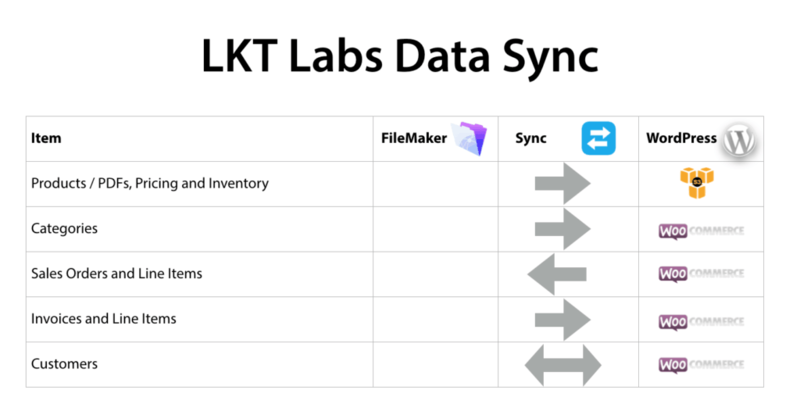 One of the primary design considerations when connecting FileMaker and WordPress/WooCommerce was to determine how data synced between the two platforms of WordPress and FileMaker. Previously we’ve written about the technical details of how this happens. The diagram below shows the overall design. 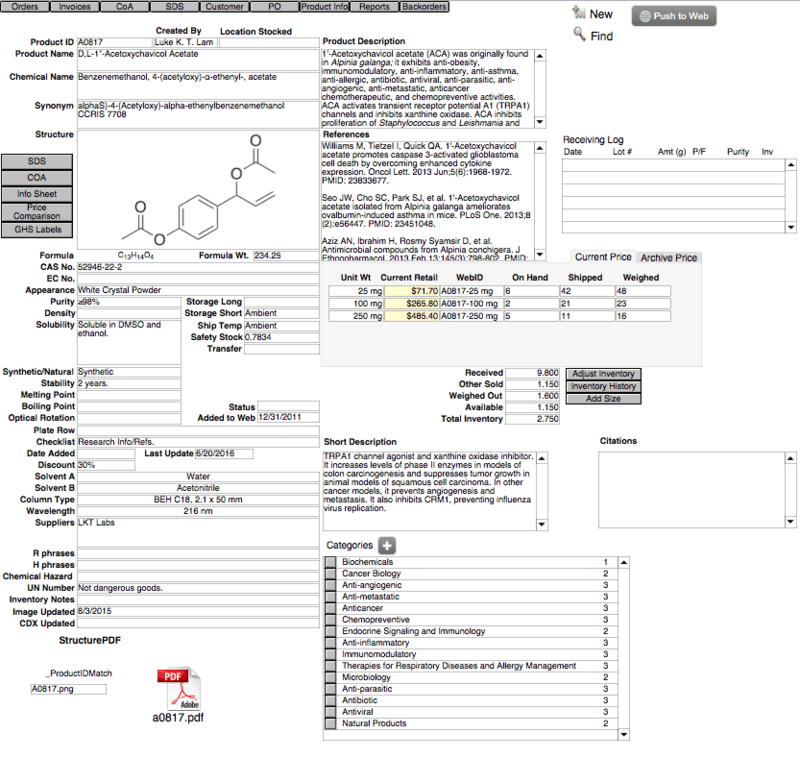 The project also makes use of Amazon S3 storage for images and PDF Info Sheets generated from FileMaker. For this project we made minimal changes to the existing FileMaker database that was originally designed by their in-house FileMaker subject matter expert. For example, on the screen shown below, we only added the button “Push to Web” to update the product information quickly and efficiently. Other synchronizations happen on an automatic scheduled basis. The product image and PDF files are pushed to AWS (Amazon Web Services) by FileMaker and distributed to end users directly through the web site. Our ROI calculations show that their new website could bring in at least $90,000 in new sales annually. This made it a very smart investment for LKT.